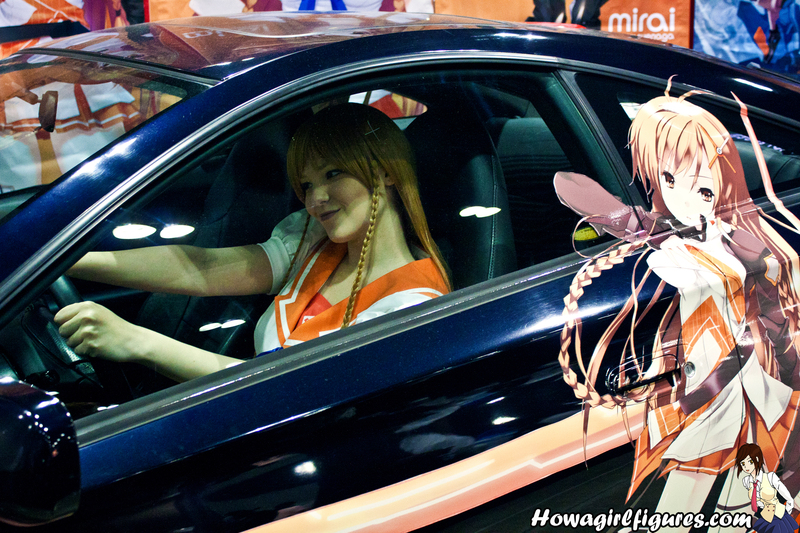 Maridah and the Mirai Itasha! At Anime Expo this past weekend, one of the booths had some fun Itashas, one of which belonged to my boyfriend, Kisuka. While walking around the Exhibit hall we bumped into my good friend Maridah in Mirai cosplay and had the cutest idea! 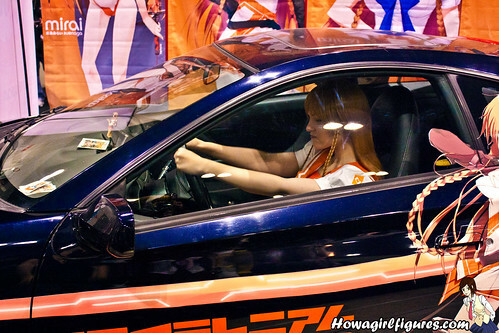 Take pictures of Mirai driving the Mirai Car! Not many pictures as sadly there was not much time, but it seemed to be a hit once she got in the car since everyone was taking pictures! 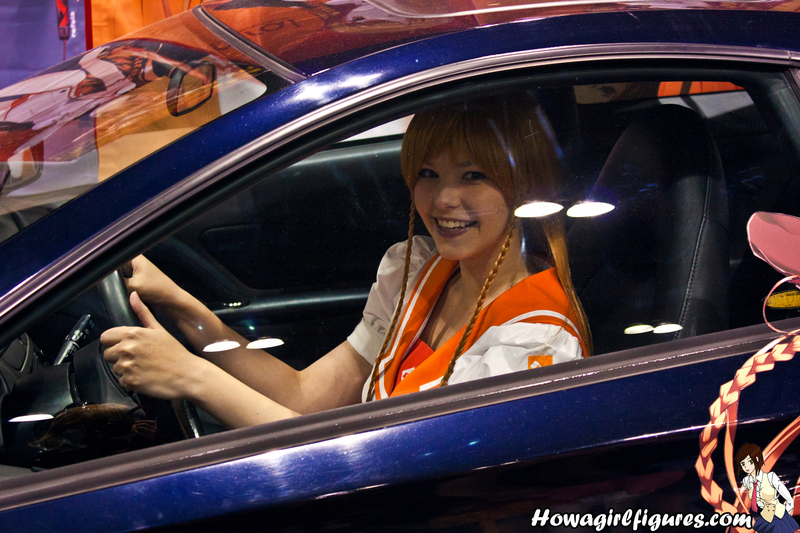 I’m so glad Danny choose Kisuka’s car! When Danny called me to let me know he chose Kisuka’s car, Kisuka was so excited! He plans to keep his car an Itasha for as long as he possibly can! 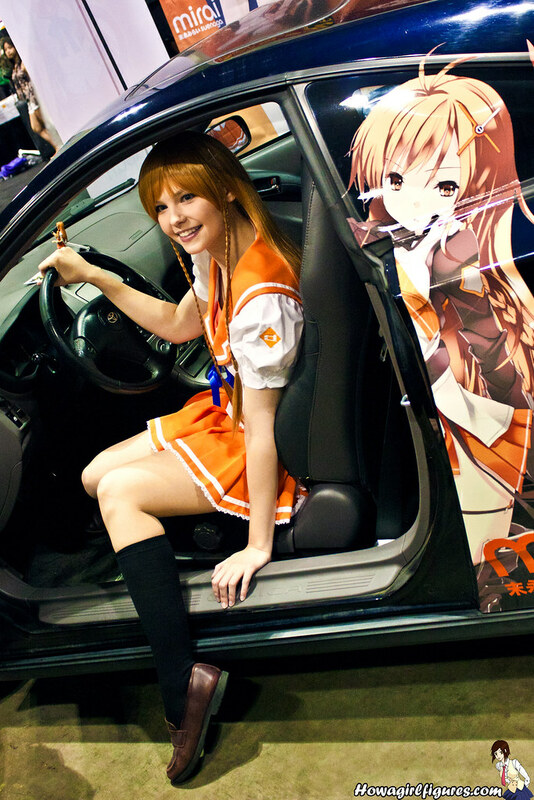 Now I need to make my car an Itasha since I’m so jealous! AX Live! Every Thursday at 7pm PST! We’ve been doing Giveaways recently so make sure to check out the show to be able to win some awesome prizes!! Plus every week we give away a 4day badge to the convention for 2012! muhaha nice photos! Looks like all of you had a great time! Her facial expression in #3 is a lot like the one my “niece” gives me every time she thinks I’m being silly. Which is ALL the time. That looks cool Maridah deffinatly looks good in that, man i wish I could have caught more gimiks with her at AX.